Whether your dog has short hair or long, regular dog grooming has important health benefits. 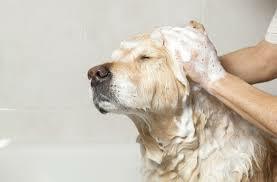 Regular baths and brushing keep your dog fresh and clean. Regular dog grooming allows you to spot changes in your pet's skin or coat, including lumps, bumps, injuries or external parasites such as fleas and ticks. 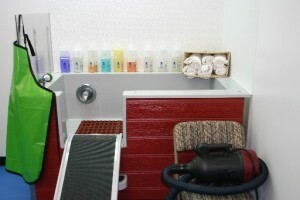 Brushing helps remove dead hair and prevents painful mats. Nail trims is another important part of the grooming routine. 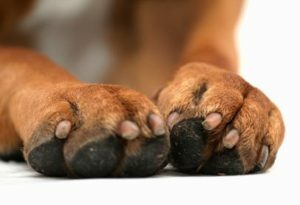 Scheduling frequent trims can prevent the unnatural strain and discomfort on the paws and legs of your dog. Nails can be clipped or ground. Grinding will give a smoother edge and is better tolerated by some dogs. Routine dog grooming from a young age can help your dog get acclimated to being touched and handled, which is beneficial at times of illness or injury. Our professional dog groomers are available by appointment six days per week to provide a wide range of grooming services that will keep your dog looking and feeling his best. during store hours for do-it-yourselfers!